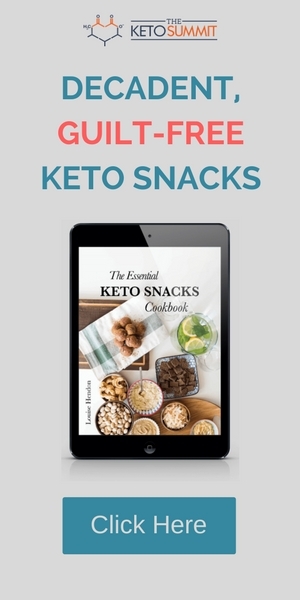 This article is by Louise Hendon, author of the Keto Snacks Cookbook. You can find out more about Louise and the Keto diet here. Please note that I am not a doctor or registered dietitian. Before starting any new diet and exercise program please check with your doctor and clear any exercise and/or diet changes with them before beginning. You’ve heard it a million times, I’m sure. Can Keto benefit endurance athletes? Steven, the creator of Ketogenic Endurance, tested the keto diet on his own athletic performance (long distance running) over the course of 18 months, with very positive results. You can read about his experience here. And there are several scientific studies (like the 3 listed below) suggesting that Keto could be a good diet for endurance athletes. In this study, researchers looked at 20 high-level endurance athletes, all of which were either ultra-marathon runners or ironman triathletes. The researchers split them into two groups: group 1 ate a low-carb diet, and group 2 ate a high-carb diet. It means that you could experience various benefits associated with keto while still performing as a high-level endurance athlete. This study looked at 5 well-trained endurance cyclists who switched to a keto diet for 4 weeks. The cyclists from the study did not have any decrease in performance. It was found that they had the same athletic performance using fat as fuel on keto as they did on a non-keto diet using glucose as their main source of energy. This study looked at 60 obese participants on a calorie restricted diet. Half of the participants were on a high-carb calorie restricted diet, while the other half were on a calorie restricted low-carb diet. They were looking to see if a calorie restricted diet (either high-carb or low carb) had any negative impact on aerobic exercise performance or muscle strength. Switching to a Keto diet won’t impact your athletic performance even over the course of months. If you’re ready to give keto a try, I have the two most important tips to help you get started. At first it’ll be tough knowing what foods you’re allowed to eat, how much of those foods to eat, and how to cook delicious keto foods. By following a meal plan, you don’t have to worry about any of that. All you have to do is go to the grocery store, buy the ingredients, and follow the cooking instructions. It’ll make your first couple weeks on keto much, much easier. You can get our free keto meal plans here. If you don’t have accountability on your keto diet, then you’re exponentially more likely to fail or quit. 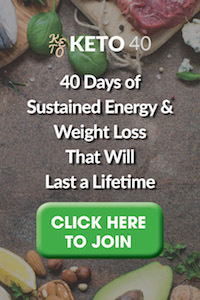 Ask friends, family, co-workers, or neighbors to do keto with you. Having someone on the keto journey with you will encourage you not to cheat on your diet. It’ll create healthy competition for folks like you who are athletes. And lastly, you’ll have people to cook with and try new recipes with. An accountability app like this one will create financial accountability surrounding your goal. It essentially works like this: if you don’t reach your goal by a certain date, you have to pay. By posting to social media and letting everyone know that you’re going to stick to a keto diet, then it’ll be much more difficult to quit since you don’t want to let all those people down. Should you switch to Keto? There’s definitely debate still among scientists and athletes about whether keto is a better or worse diet for peak performance in endurance sports. The studies above suggest that following a keto diet likely won’t hurt your performance. So, what’s the point of trying keto if it won’t guarantee a performance advantage? The main benefit of going keto is that you won’t be dependent on glycogen stores. Instead, you’ll have more metabolic flexibility and can instead burn fat for energy. So, if you want to curb your dependence on carb, then a keto diet could help. Just remember that it can take several weeks for your body to adapt properly so you may suffer a dip in performance during those first few weeks. By buying anything on Amazon through this link, and I will receive a commission to help keep the blog running, at no extra cost to you. Previous Previous post: Guest Post: What Are Ketones and How Do They Work In Your Body?